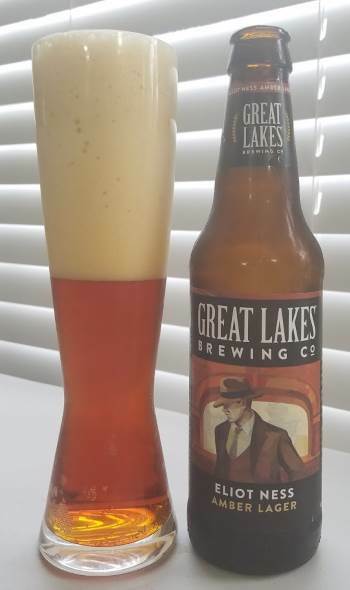 From Great Lakes Brewing Co. of Cleveland, Eliot Ness is an Amber Lager. The nose is nice and bready, and the middle has caramel and a hint of orange and molasses. This hangs around in the finish along with notes that remind me of delicious honey wheat bread dough. The body is light and the alcohol is 6.2% ABV. A really nice lager. This entry was posted in Reviews and tagged Amber Lager, Great Lakes, Lager, Ohio on July 29, 2017 by Xander. 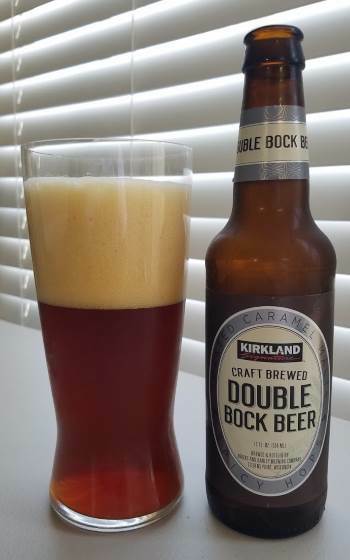 Brewed by Bricks and Barley Brewing Company for Costco’s Kirkland Signature line, the Double Bock is a classic German dark beer style that makes up a quarter of the mixed case I recently bought. The nose is toasty and grassy with a bit of licorice. The middle has a good bit of caramel and a bit of nuttiness. The finish is herbal with some orange. The body is medium to heavy, and alcohol is 7.5% ABV. This is a malt-forward brew that I found very enjoyable. This entry was posted in Reviews and tagged Bricks and Barley, Dark Lager, Double Bock, Kirkland Signature, Lager, Wisconsin on July 9, 2017 by Xander. Last weekend we hosted an engagement party for friends, and so not personally knowing most of the attendees, I had quite a variety of beer on hand to cater to various tastes. Sorting through the leftovers I found I still had a number of bottles of Samuel Adams Light, my offering for those wanting a low-calorie option. I haven’t yet reviewed this beer, and as the Boston Beer Company is, by most measures a craft brewery, it’s time to fix that. So, there’s nothing wrong with this beer, per se. It is a light beer. It isn’t brewed with adjuncts, so you get a reasonable caramel malt nose and flavor, but it is as light as the beer. The finish is more mineral water than anything else. It’s certainly palatable, and would be a fine refreshing beverage, but there’s really nothing to set it above any of its macro-brewed counterparts. 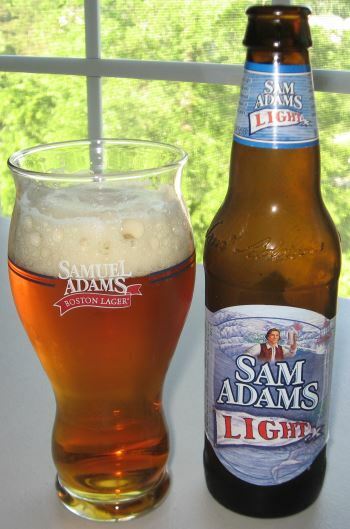 This entry was posted in Reviews and tagged Boston Beer Company, Lager, Light, Light Beer, Light Lager, Massachusetts on May 6, 2014 by Xander. We are coming to the last few winter seasonals for the year, and today we have Piercing Pils from Dogfish Head. Now, a Pilsner is a bit of an unusual choice for a winter seasonal, and Pilsner isn’t one of my favorite styles in any case, but I’m keeping an open mind. 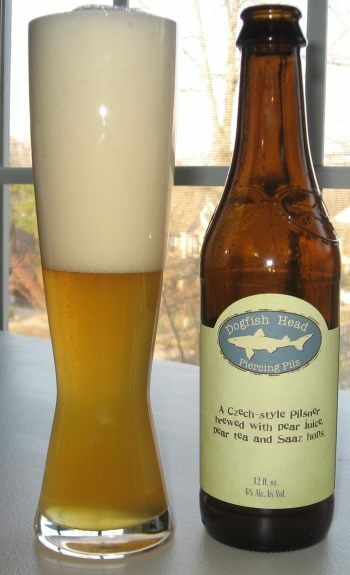 Dogfish Head calls this both a Perry-Pils hybrid, and a Czech-style Pilsner, and to those ends it has been brewed with pear juice, White Pear Tea, and spice Saaz hops. The result is delicious. The head is long lasting and creamy. The nose is light and smells faintly of apple, pear, and ground wheat. The middle is superbly balanced between sweet pears and bitter herbs, both of which fade into a toasty finish that also adds a bit of lemon. The body is light and crisp, and the alcohol is a moderate 6.0% ABV. This is a really fantastic beer, and I’d be happy to drink quite a lot of it. Pity it’s a seasonal. This entry was posted in Reviews and tagged Czech Pilsner, Delaware, Dogfish Head, Fruit Beer, Lager, Pilsner on March 7, 2014 by Xander. 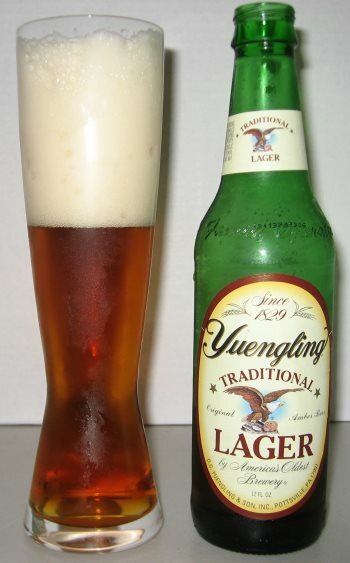 Yuengling is widely regarded as a “craft-y” rather than a craft brewer both because of it’s size, (over two million barrels annually) and the fact that the recipe for their Traditional Lager uses an adjunct ingredient in corn. 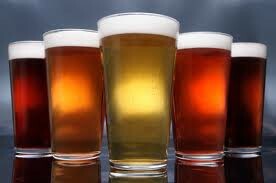 However, given that they’ve been a family-owned brewery ever since the company was formed in 1829, and since the recipe for Traditional Lager hasn’t been changed since the late 19th century, I tend to cut them some slack. 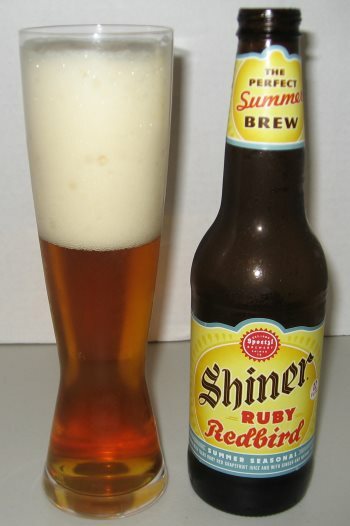 The beer is a fairly mainstream style American lager. The head is fairly weak, and the scent is of toast with honey. The middle has roasted grain and quite a bit of sweet honey. The finish is slightly metallic, and the flavor of corn peeks through here. The transitions and overall flavor profile is very smooth and mellow, but not overly watery, and the body is light to medium. It’s a really nice lager, and I enjoy it as a malty break from the hop-bombs that I normally crave. 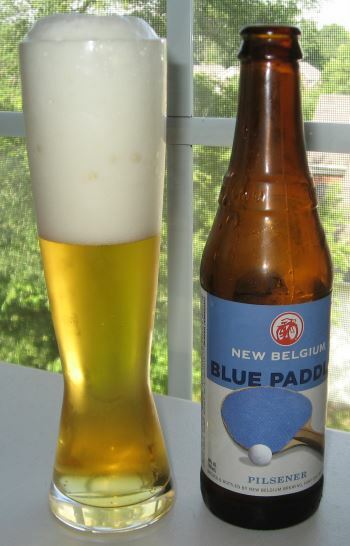 This is a good lager, and a great into to start transitioning a beginning beer drinking away from the macro world. This entry was posted in Reviews and tagged American Lager, Lager, Yuengling on July 9, 2013 by Xander.